The name of the game for online merchants is attracting new customers at an acceptable cost. Not just new visitors, but new buyers. Since the first online marketing campaign I launched in 2004, I’ve never seen anything that works as consistently well as Google Product Listing Ads (PLAs) aka Google Shopping. I’m not the only one seeing and taking advantage of the growth of Google Shopping. Retailers of all sizes are seeing the power of Product Listing Ads, and they are shifting budgets accordingly. As of Q3 2015, PLAs made up 62% of non branded paid search clicks for online retailers according to a study by research firm, Merkle. Customer’s like PLAs too. In fact in Q4 of 2015, Product Listing Ad clicks grew 62% over the same period in the previous year, and mobile PLA clicks grew 180% over the same period in the previous year. It makes sense that they work so well; Google Shopping puts product image, title, and price right in front of eager shoppers. 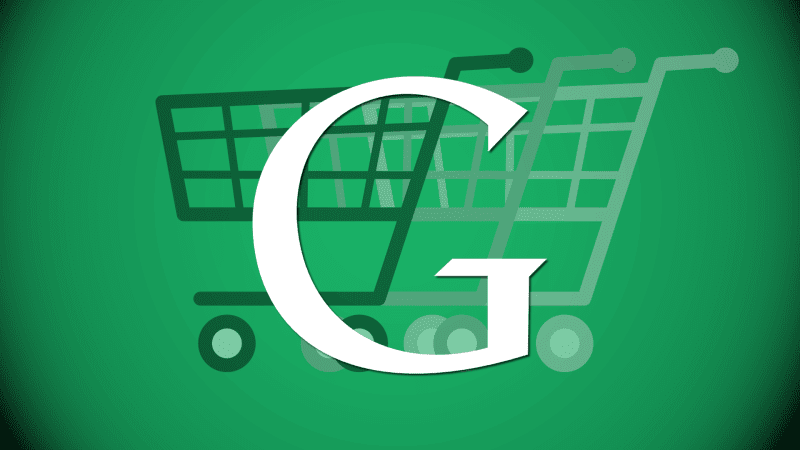 Google Shopping is good for merchants because it works for consumers. Looking for a black tweed jacket? Just a few keystrokes on Google.com will return up to eight product listing ads begging to be clicked. For those who want a little proof that Google Shopping is a winner, here are some recent results from campaigns we manage. An industrial cleaning product company is averaging a $10 cost-per-conversion with Product Listing Ads, while AdWords text ads deliver a cost-per-conversion of closer to $20. Both are profitable, but PLAs have a distinct edge. How about a B2B supplier with a cost-per-conversion of $16 with an average order value of $130? These are common examples of the profitability of PLAs. We occasionally see some outlandish results as well. Like $12 in revenue per visit from Google Shopping clicks that cost less than $.30. Not the norm, but it is possible. Want to learn how to run successful Google Shopping campaigns? Check out this comprehensive review, The Ultimate Guide to Google Shopping. From planning and structure to bidding, reporting, and optimization, this guide covers it all. Chapter 1: A Traffic Source that Lives Up to the Hype - Google Product Listing Ads, also known as Google Shopping Ads are an amazing way to get your product image to show up in a Google Search. Chapter 2: What is Google Shopping and How Does it Work? - The answers are simple and the setup process is fast! Chapter 3: Set Goals and Know the Competition - Google shopping keywords must be crafted with the buyer's intent in mind. PLA keywords, when done effectively generate powerful organic results. Chapter 4: Setting up Shop - Account Creation - The Google Merchant Center is where your setup beings. From Adwords to Analytics, your Google Merchant Account takes a few minutes to get setup. Chapter 5: Feed Mastery: It's All in the Feed - Your Google Shopping Feed is an important consideration. The data feed, or Google product feed is what turns searchers into customers. Chapter 6: Bidding - The Ultimate X Factor - Adwords bidding is an art and science. There are numerous Adwords bidding strategies out there but we've narrowed it down to help you get started. Chapter 7: Bidding - Reporting and Optimization - Once launched, Google Adwords optimization is the next step. Test, alter, improve and see the results roll in. Chapter 8: Ad Extensions and Other Extras - Ad extensions supercharge your product listings ads. For example, use Adwords Review extensions to include product ratings. Chapter 9: Conclusion - While getting the most from Google Shopping requires some time and attention to detail, it’s usually well worth the effort. Email marketing drives traffic, increases revenue and helps you build relationships with customers over time. Use this guide to get started and optimize your email marketing strategy today.